by Various Author · Sharon M. Harris Author of introduction, etc. This fascinating collection presents a rare look at women writers' first-hand perspectives on early American history. 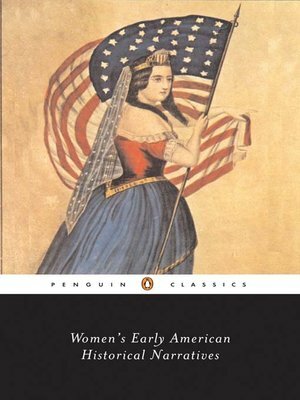 In the late eighteenth and early nineteenth centuries many women authors began to write historical analysis, thereby taking on an essential role in defining the new American Republicanism. Like their male counterparts, these writers worried over the definition and practice of both public and private virtue, human equality, and the principles of rationalism. In contrast to male authors, however, female writers inevitably addressed the issue of inequality of the sexes. This collection includes writings that employ a wide range of approaches, from straightforward reportage to poetical historical narratives, from travel writing to historical drama, and even accounts in textbook format, designed to provide women with exercises in critical thinking—training they rarely received through their traditional education.